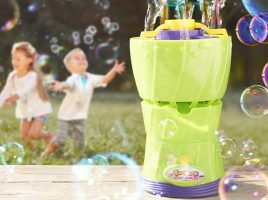 GAZILLION BUBBLES is the premium bubble brand that gives bubble fans the ultimate bubble experience! 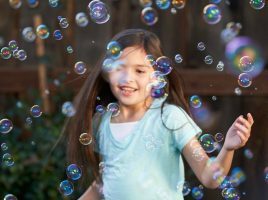 Spring has sprung and we’re delighted to have GAZILLION BUBBLES taking over the UKMums.TV site! During this takeover, you’ll find details about the new items in the GAZILLION BUBBLES range, along with how to take part in the GAZILLION BUBBLES Twitter frenzy. 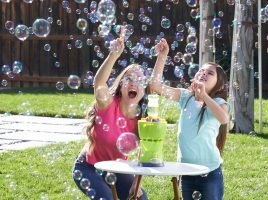 You’ll also get the chance to find out what some of our mums had to say about the latest GAZILLION BUBBLES products, as well as discover some fun ways that bubbles can be played with! Lots of GAZILLION BUBBLES prizes are up for grabs too, so make sure you don’t miss out. We hope you tune in! 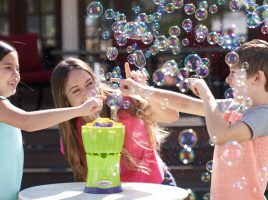 Enhance your bubble play – Gazillion Bubbles games! Don’t think bubbles could get any better? Well think again! 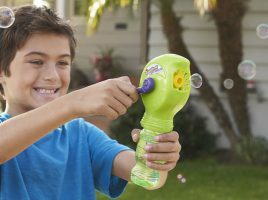 See how you can have even more Gazillion Bubbles fun! See how you can POP GAZILLION BUBBLES online and join our next Twitter frenzy! 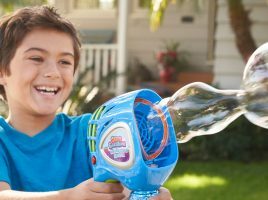 The best science toys for kids! Ignite your little one’s imagination with our pick of the best science toys! Looking forward to spring outdoor toys! 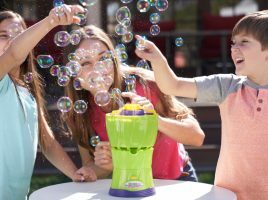 Outdoor toys that you NEED to buy this spring!